There has been various comments by Government, Groups and stakeholders on the recent negative narrative on Nigeria’s corruption status that it has become necessary to offer a voice with a view to improving our corruption index over time. The Buhari Administration has no doubt held the bull by the horns since coming into office. Never before has so many supposedly corrupt officials been held by the neck to account. Just that corruption has become so ingrained in our psyche as a people for so long. Reducing corruption in Nigeria is the responsibility of government – the executive, legislative, judiciary. Except this group act as a continuum together, the corruption cankerworm cannot be reduced or eliminated. Transparency International has apparently evaluated the Nigerian subsystems in recent months and saw that things haven’t really changed as expected from a CHANGE Administration. The way & manner with which business is carried out at both the public and private sectors of the economy still leaves a lot to be desired! Firstly, in the ‘Ease of Doing Business’ platform about which Nigeria was sometimes ago given some credit, public officials at various levels have thoroughly bastardized the system and are still expecting money before doing their jobs for which they are being paid. In the issuing of Visas it is the same in our Embassies and Immigration Offices. Customs officials still extort money from importers. Middlemen abound in the Ports and elsewhere. All around Nigeria there is so much delay in the processing of documents except officials’ palms are greased. It is so everywhere. Secondly, corruption in the Police smells to high heavens. The Inspector General of Police decreed a few months after taking office that all Police checkpoints be disbanded. Who is monitoring this order? Today, Police checkpoints have mushroomed especially in Delta State and on the East-West Road between Warri and PortHarcourt. The Police proudly demand for ‘access’ toll from motorists – with impunity in broad daylight. I recently tried to renew my personal Driving License which I got in 1976. At the Licensing Office in Delta State, I was asked initially to pay N16,000.00 – instead of the official N6,500.00 – because I must go for a new driving test after 41 years! I protested and decided to go to Lagos where I got my first License but was shocked when I was asked to pay N25,000.00. I was frustrated and returned to Delta State where, within about two weeks interval, the license fee had risen to N19,000.00. Because I can’t afford to be an unlawful Nigerian I had to pay. The huge difference between the official fees and the actual amount is in private pockets of civil servants. Who monitors this? Things like this are known to Transparency International who consider these infractions in their evaluations. Thirdly, Nigeria is the only country in the world where the Members of the Executive and Legislature are themselves contractors in their own Government. This cankerworm must be discouraged in Nigeria if we will be seen as a serious member of the comity of nations. A Member of the National Assembly, a State Assembly, a Member of the Executive at all levels, a Minister or Commissioner or their relations or cronies should not be allowed to be Contractors to Government because it is an avenue for huge corruption. In the European Union, Japan, the USA, Canada and Australia, a situation where companies owned by Government officials and cronies are awarded Government contracts is abhorred. In Nigeria, it is sadly usual to see public officials who approve budgets to surreptitiously award contracts to themselves through their companies and cronies. In many cases political bigwigs kidnapping such contracts lack the capacity to execute the contracts but still go cap in hand to get paid for the unexecuted project, thus stifling the needed development projects that should have impacted positively on our communities had such contracts been executed on schedule. 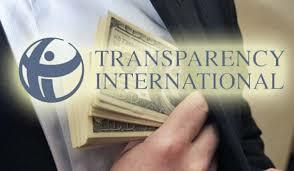 This position is known by Transparency International and is a factor in their negative perception about Nigeria. Address issues like this within say, the next six months, and in the next TI report, Nigeria’s corruption index will improve. In Europe, the dictum is either you are a Businessman or a committed Politician. You cannot be both as it is in Nigeria. Fourthly, the judiciary in Nigeria has always handled corruption cases with kid gloves. The Chief Justice of Nigeria recently instituted new measures to address corruption cases but the proposed strategy appears weak. Corrupt officials usually invoke the principle of fundamental human rights to drag cases for months or years. This is a travesty of justice. Why should a supposed thief who we know stole public money dribble us because of an imaginary fundamental human rights which he has himself/herself denied the generality of our people? In China, public officials engaged in graft the type we have in Nigeria are executed within two to six weeks to serve as a deterrent to others in the future. Even if we don’t want to execute corrupt public officials in Nigeria, why can’t the judiciary set a timeline to determine corruption cases? The sad thing about our corruption cases is that identified corruptly-acquired monies are unavailable for Government use until cases are determined? Why? Over N2 trillion is currently involved which is about 25% of the 2018 Federal Budget. Our Financial Managers – except they don’t know their onions – can utilize these monies while the cases last. Ask for professional opinion. The judiciary must institute a timeline for the determination of corruption cases forthwith: I suggest a maximum of 8 weeks. After all, there is a timeline to determine election cases. The foregoing drawbacks are the reasons why Transparency International slammed a negative index on Nigeria in their recent report. All strands of Government must reinvent themselves and do things differently if our country will attract strategic foreign direct investment and be respected in the international community. Finally, there was WAI (War Against Indiscipline) during the Buhari-Idiagbon era. Cannot we have a seriously-managed WAC (War Against Corruption) in the Buhari-Osinbajo era?